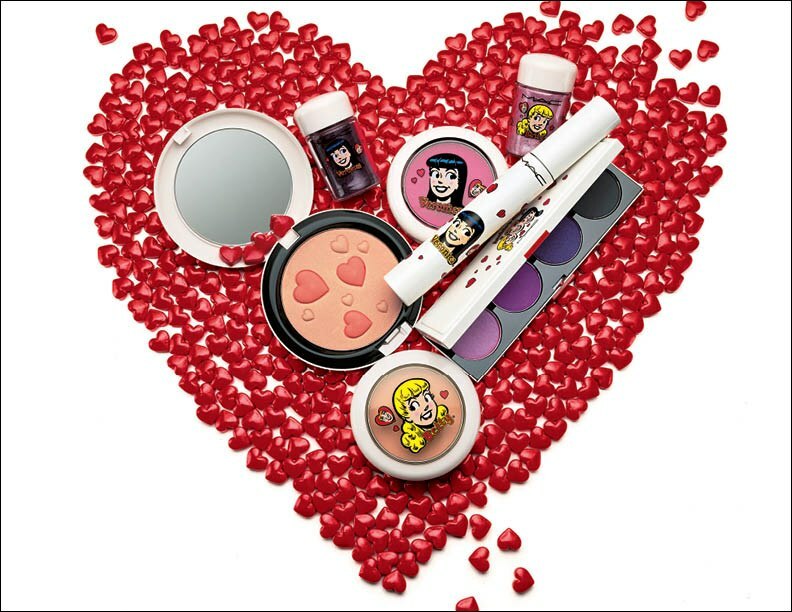 MAC Cosmetics will be launching their Archie Comics collection just in time for Valentine’s Day, featuring makeup products inspired by Riverdale’s own Betty Cooper and Veronica Lodge. Known for their critically acclaimed beauty products and collaborations with pop culture icons (including Hello Kitty, Barbie, and Wonder Woman), MAC Cosmetics’ Archie Comics products will feature exclusive new shades and special edition accessories. 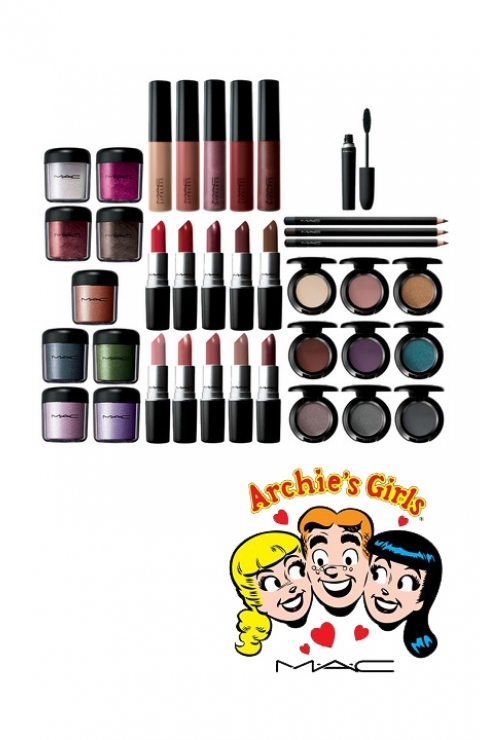 However, the most unique feature of this collection is that the products are evenly split (like Archie’s heart) to suit either the Girl-Next-Door (sweet candy shades of pink and peach) or the Sophisticated Fashionista (deep vixen tones of red and purple). Announced in July during Comic-Con International, Archie’s Girls is of course divided into two lines, one for Betty and one for Veronica. And while the products don’t bear as colorful of names as MAC’s earlier Wonder Woman collection — Athena’s Kiss lip gloss! Obey Me nail polish! — they’re still pretty memorable. For those in the Betty camp, there’s Girl Next Door lipstick, Kiss and Don’t Tell lip gloss, and Caramel Sundae eye shadow. For the Veronicas out there, MAC offers items like Daddy’s Little Girl and Boyfriend Stealer lipstick, and Spoiled Rich eyeshadow. Betty and Veronica – the names alone are a vivid four-color flashback to an era of sweet, comic book innocence. Their eternal love triangle, with all-American freckle-faced Archie, is legendary in its teen tension, tight sweaters and two-toned saddle shoe charm. Girl-next-door blonde Betty vs. vivacious, spoiled rich-girl, brunette Veronica, an epic rivalry, now in two contrasting M·A·C color collections, packaged in exclusively designed cases. Archie’s Girls will be available at maccosmetics.com on January 30th, from NYC M·A·C Stores January 31 st, all other US locations February 7th, and international in March.